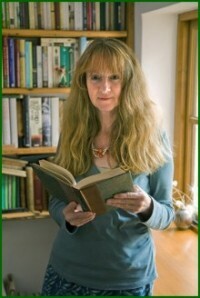 Hazel Jones is a well-known Jane Austen specialist, who lives just outside Exeter. 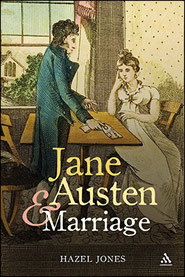 Two years ago she wrote ´Jane Austen and Marriage´. Most people will know her from the residential courses she gives in England about Jane Austen or her books. 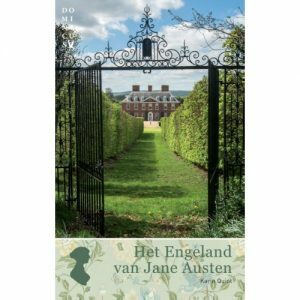 Odette Snel interviewed her for JaneAusten.nl about her love for Austen, her book and her Jane Austen courses. I read that you fell in love with Henry Tilney when you were eleven, does that mean ´Northanger Abbey´ was the first Jane Austen book you read? Yes, it was a class text in my first year at a girls’ grammar school. Little, if anything, was said at the time about Gothic novels and I did not comprehend the parodic aspect of ‘Northanger Abbey’, but I remember loving the characters and fearfully exploring all of the wardrobes and chests when I stayed the night in friends’ or relations’ houses. At least half of my love for Henry Tilney can be attributed to the fact that an essay on his character gained my very first A+. Why is Henry Tilney your favourite Jane Austen character, because I think for most Janeites Mr Darcy is the number one? I started with Henry Tilney, then progressed to Darcy, Mr Knightley and Captain Wentworth. None of the men in ‘Sense and Sensibility’ ever attracted me and Edmund Bertram in ‘Mansfield Park’ is a complete turn off. Which actor in the ´Northanger Abbey´ adaptations is your favourite Henry Tilney and why? JJ Field in the most recent adaptation of ‘Northanger Abbey’ is my favourite Henry Tilney. He combines Henry’s wit with personal warmth and an understanding of Catherine’s naiveté. His winning smile captures Henry’s sense of fun perfectly. You are now a well-known Jane Austen expert, not only on her books, but also on her life, the period she lived in. When did Jane Austen became so important in your life? When I began teaching English Literature in my early 20s, I rarely taught the texts I would have chosen. Every summer, I would take down Jane Austen’s novels from the shelf and re-read all six over the holiday break. In the 1980s, I began to explore her life and times and in the mid-1990s, decided that I would like to focus on Jane Austen to the exclusion of all else. What do you think is Jane Austen´s uniqueness, what has made her so special? No other novelist in the early 19th century writes as Jane Austen writes. She trusts her readers’ intelligence and expects us to interpret and appreciate the layers of meaning within the text. She does not spell them out, but guides us through the plot with a light hand. She gives us just enough by way of description to set our imaginations working. Her style is spare and every word in an Austen novel counts. She is also a rationalist, not a sentimentalist, and that appeals to a wide range of readers. If you could choose to go back in time and her characters were real people, which Jane Austen female character would you like to be and why? With no hesitation, I would choose to be Mrs Croft. She is happily married, robustly healthy and has no children to tie her down. She has opportunities to travel the world and is not limited to a fixed abode. I love detective fiction and psychological thrillers. My favourite authors in these genres are P.D. James, Barbara Vine, Ian Rankin and Steig Larsson. I also enjoy reading Tracey Chevalier, Philippa Gregory and George Elliot. What do you think about all the Jane Austen sequels which are so prolific today and do you like to read them? I think we all like to speculate about what happens to Jane Austen’s characters at the end of every novel. They become so real to us. Prequels and sequels attract a dedicated readership, although I must admit that I have only read a couple, written by Jane Odiwe, ‘Willoughby’s Return’ and ‘Lydia’s Story’. It would be unfair of me to judge other writers’ attempts to extend or subvert Jane Austen’s plots, but I believe that the best of them do not try to replicate Jane Austen’s voice and style. Which Jane Austen adaptation do you like the most? It would have to be the 1995 BBC version of ‘Pride and Prejudice’, which I have watched countless times. This is closely followed by the 1995 ‘Persuasion’. Can you tell us a bit about the courses you give? What can people expect? Where do your students come from? Students have come from the USA, Canada, France, Spain, Germany, Austria, Switzerland, Denmark, Sweden, Italy, Australia, Taiwan, Ireland and all areas of the UK. Individual courses focus on all of the novels, the juvenilia and unpublished works, Jane Austen’s life and times. I bring with me a folder packed with material that I am keen to share with the group, boxes filled with books from my Jane Austen library and various films, adaptations and visual representations of the author’s biographical background. People attending the courses can expect informal, but informed themed sessions, usually four per day, over a four or five day period. Plenty of time is allowed for discussion and students’ opinions are welcomed! Each residential course usually includes a day’s visit to a Jane Austen related location. Students can also look forward to comfortable bedrooms, quiet surroundings and excellent food. Why did you decide to start with the courses and can you reflect the popularity of Jane Austen over the last years with the number of people applying for the courses? You now also work together with the P&P tours. Can you tell us more about your work for them? I am a co-guide on P&P Tours, which are all conceived and organised by Helen Porter. I go along as the resident Jane Austen ‘expert’. I like to claim that I was head-hunted by Helen, because it sounds good. In 2009, she contacted me through my website, to ask if I would give an after-dinner talk at Longbourn, on Jane Austen. Since then, I have become more involved as Helen’s co-guide, accompanying clients from all corners of the globe to sites in England which feature in the many films and TV series, particularly the 1995 ‘Pride and Prejudice’, ‘Persuasion’ and Emma Thompson’s ‘Sense and Sensibility’. Helen offers the kind of tours I would be desperate to go on myself. She believes in the personal touch – we stay together as a group for the whole day and eat together in the evenings – and she is committed to providing exclusive opportunities for Austen adaptation enthusiasts. Only last week, fourteen of us danced at Longbourn and enjoyed supper at Uppercross in the room where the Musgroves, the Crofts, Anne Elliot and Captain Wentworth shared a meal by candlelight in the 1995 adaptation. Is your work like a dream come true for you, because I think a lot of people would envy your job? Oh yes. I am without doubt a very happy lady. I look forward to every single aspect of my work. In fact, the words ‘work’ and ‘job’ do not really apply to what I do. I indulge my obsession and get paid for doing what I love. What do your husband, family, friends think about your Jane Austen “addiction”? They have learned to accept it! My husband is very understanding and tolerant and indulges my passion for buying ruinously expensive texts written in Jane Austen’s lifetime. It is such a joy to own books familiar to the author herself. Two years ago you wrote ´Jane Austen and Marriage´. Why did you decide to write this book? The book was published in 2009, but the idea to write on the subject of marriage, focusing on women’s experience, came about four years before that. It developed in my head for quite a while, until I could no longer resist writing it down. I was convinced that some well-established author, like Maggie Lane, would pre-empt me and that anxiety caused more than a few sleepless nights! The subject seemed so obvious and yet no one had tackled it before. I breathed a massive sigh of relief when it came out in 2009, although I was very sorry to finish writing it. I felt quite empty and bereft after delivering it to the publisher in London. The position of women in this period – the late-18th to the early 19th centuries – is of great interest to me. Researching the diaries, letters and conduct literature of the time proved an absolutely fascinating experience. Gaining free access to places like the British Library and Chawton House Library felt like a real privilege. After reading your book, you can say a lot has changed for women in the last two hundred years in a positive way. Women are nowadays independent creatures, they do not have to marry for social security. It nearly seems a contrast with the popularity for Jane Austen´s books, the romantic view we have of living in Pemberley. Can you explain this? We have an unrealistic view of what a Pemberley lifestyle would involve, I think. Someone, I can’t remember who, said that Elizabeth’s role as Darcy’s wife would be as stressful as running a 5* hotel. Not a job for the faint-hearted. And then, she might well produce a child every year, which would take its toll on body and spirit. There is such a sexual charge between Darcy and Elizabeth, that I can’t imagine separate bedrooms being an option and given that this was the only way of limiting family size .-.-. We’ll leave this for the writers of sequels to determine. I think that the enduring appeal of ‘Pride and Prejudice’ is not connected with the married life of the hero and heroine, but with their developing understanding and love, witnessed on the page, which gives us all hope, regardless of our age or the times in which we live. Have you any plans for writing another book? Plans yes, time no. I have signed a publisher’s contract for the second book and sometime over the next year or so, I must try to find a space in a very busy programme in which to research and write. I am looking forward to it. I so enjoyed writing the first one. How do you see the future? 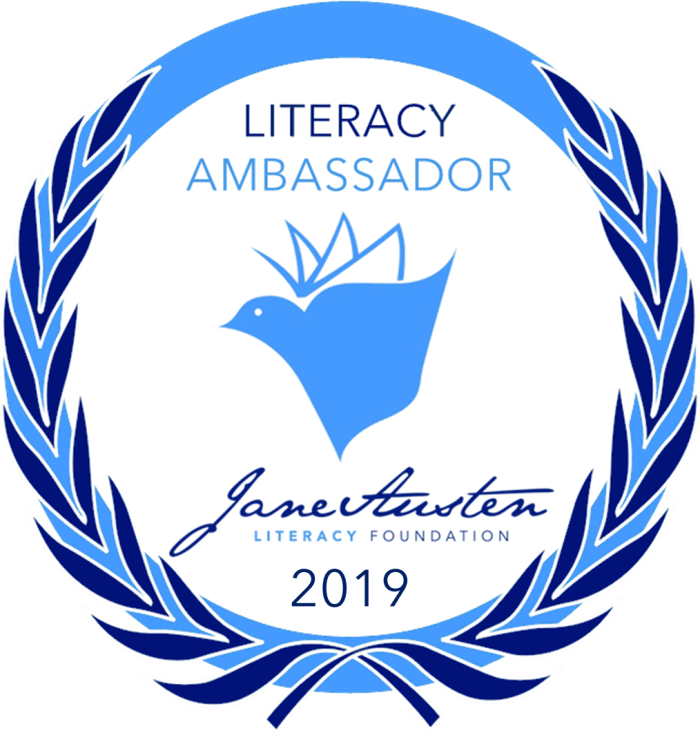 Your life seems quite absorbed by Jane Austen through your work, your commitment with the Jane Austen Society Southwest. Do you expect Jane Austen´s popularity will go on for the next decades? I am unable to imagine retiring or giving up my courses or relinquishing my commitment to the Jane Austen Society in the Southwest. I love what I do. If the demand for Austen studies continues and all else is favourable, I will continue as I am. A future development involves a very special residential venue in Bath, my favourite city in the whole world, which featured as Sir Walter Elliot’s house in the 1995 ‘Persuasion’. A younger audience is increasingly finding Jane Austen irresistible, discovering her initially through TV adaptations and films, then moving on to her novels, then reading biographies and critical texts. Interest in Jane Austen will never cease. Have you ever considered giving courses outside England, for example in the Netherlands? If you invite me, I will come! I am happy to travel anywhere in the world to teach Jane Austen .-.-. I did say earlier that I would choose to be Mrs Croft. Conversely, I am happy to tailor courses to suit discrete groups who wish to visit the UK and study any aspect of Jane Austen. Finally, why should people consider to apply for one of your courses? One of my main aims is to give participants an insight into the minds and lives of early 19th century readers. We can overlook so much of Jane Austen’s genius if we ignore the social and historical conditions in which her novels were written and first read. And what better way is there to escape the troubles and anxieties of modern life than by stepping back into another world, then returning to the present with an enriched sense of this wonderful author’s unique skills? For more information about Hazel Jones and the courses, please have a look at her website.